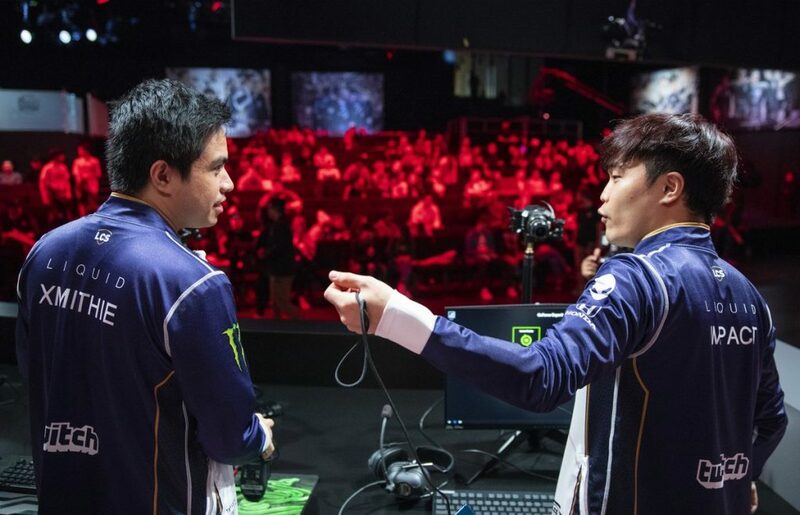 Team Liquid scores an important victory against FlyQuest to keep the perfect run going. CLG wins the third straight to move into a three-way tie for second place, Golden Guardians finally get their first win of the LCS split. The 2019 LCS spring split is now in its third week. The first game of the day saw 100 Thieves come out on top of a 50 minute war of attrition against Clutch Gaming, which has now dropped three consecutive games following a 2-0 start. FlyQuest had the chance to challenge Team Liquid for the top of the standings, but were no match for the reigning LCS champions. Cloud9 left behind its disappointing loss to Counter Logic Gaming with a win over TSM, as the six-time champions now sit ahead of only one team in the standings. Speaking of CLG, the team has now won three straight after taking down Echo Fox, moving into a three-way tie for second place with C9 and FlyQuest. The final match of this week’s opening day saw the Golden Guardians finally score their first win of the split, taking down a revised OpTic Gaming lineup which saw veterans Noh “Arrow” Dong-hyeon and William “Meteos” Hartman make their 2019 debut replacing Joshua “Dardoch” Hartnett and Toàn “Asta” Trần. Clutch showed up with some interesting picks. Jungler Nam “Lira” Tae-yoo went with Jayce while the team’s star player, top laner Heo “Huni” Seung-hoon, picked a Spellthief Zilean to give CG additional wards as a response to a composition that relied heavily on engaging from the flanks. The jungle pick did not work all that well at first, as Andy “AnDa” Hoang (Aatrox) had little trouble invading CG’s side and winning a trade against Lira. Mid laner Choi “huhi” Jae-hyun (Lissandra) roamed to help and picked up the first blood. It didn’t take long for 100 Thieves to open a solid lead, taking down the bottom lane turret while adding two Infernal drakes and the Rift Herald only 15 minutes in. Clutch’s composition started to come online as its first line of outer turrets fell. The additional vision from Huni combined with the poke-heavy made it a lot harder for 100 Thieves to gain more space around the map. Thanks to a perfect Teleport flank by huhi, however, the Thieves found its fight by securing two kills at the 31 minute mark, heading for Baron after that. The powerplay left two inhibitors exposed as 100 Thieves went for the Elder dragon. The additional firepower helped the team take down the two already exposed inhibitors, setting up for an easy Baron. As it looked certain that the buff would go their way, Lira jumped into the pit and stole the objective for Clutch Gaming. CG also secured the Elder dragon, clawing its way back into the game. Thanks to another good flank from huhi, 100 Thieves slowed Clutch’s momentum as the buffs expired. The 2018 spring runner-ups then set up for a third Baron, this time securing the objective. huhi completed his great showing with yet another good flank in the mid lane as the Thieves scored an ace with the follow-up. With a clean path to the Nexus, 100 Thieves finally closed out the longest game of the Day 5 2019 LCS spring split after 51 minutes. The second match of the day featured the top 2 teams in the standings. FlyQuest followed up a good engage by support Juan “JayJ” Guibert (Rakan) with a gank by Lucas “Santorin” Larsen (Nunu) as Jason “WildTurtle” Tran (Xayah) finished off the play by securing the first kill on Liquid’s support Jo “CoreJJ” Yong-in (Alistar). FlyQuest used its top lane pressure to grab the Rift Herald, releasing it in the bottom lane to take down the first turret. TL overcame FLY’s early advantage with better control around the objectives, adding three elemental buffs while also destroying the three outer towers. With a good fight in the mid lane, Liquid picked up two kills and went for Baron. FlyQuest had no other choice but to face-check, which gave TL two more kills and an uncontested buff. In a single push, the reigning champions destroyed two inhibitors and forced its way towards the Nexus turrets. FlyQuest still tried to defend its base, but Liquid continued its march and ultimately destroyed the Nexus to end the game and consolidate its place at the top of the standings. Eric “Licorice” Ritchie gave Sylas his LCS debut. The new champion has been a highly contested pick, seeing bans in the previous two matches. The 2018 World Championship semifinalists invaded TSM’s side of the jungle and picked up a kill on Matthew “Akaadian” Higginbotham (Olaf) as Yasin “Nisqy” Dinçer (Galio) walked away with the first blood. TSM secured the Rift Herald but forgot to pick it up. It didn’t really matter. 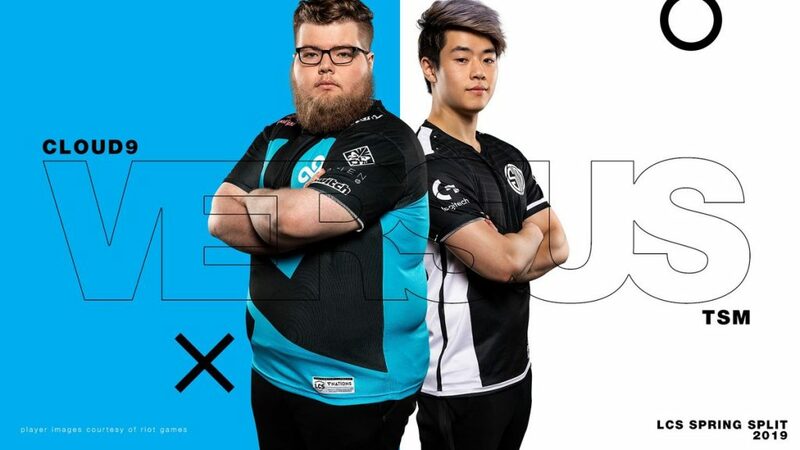 Committing three players, as the team still took down the first turret of the game in the mid lane, freeing Soren “Bjergsen” Bjerg to roam and destroy C9’s outer towers. It looked like an easy game for TSM, as the six-time LCS champions added two Infernal buffs. C9 then showed off Sylas’ potential. After successfully contesting a Baron execution, Cloud9 turned the fight around thanks to Licorice stealing the Ultimates from Andy “Smoothie” Ta (Zilean) and Bjergsen. As C9 set up for the objective, it was TSM’s turn to contest. Once again, Licorice made key plays by stealing Ultimates from Smoothie and Jesper “Zven” Svenningsen (Lucian). Cloud9 picked up four kills, securing the buff soon after that. Despite losing two players while pressuring the bottom lane, C9 still managed to destroy TSM’s inhibitor. After fighting off their opponents, Cloud9 secured the Elder dragon just in time for the second Baron buff. TSM had to contest the execution, but C9 had little trouble responding by taking four kills before securing the buff. Down two inhibitors, TSM managed to shut down Licorice as Cloud9 forced its way into the base. AD carry Zachary “Sneaky” Scuderi (Ezreal) however continued to hit freely from the backline as his team added three kills and went for the Nexus at Day 5 2019 LCS. Counter Logic Gaming’s bottom lane duo showed up in the mid lane with an Ultimate by Vincent “Biofrost” Wang (Tahm Kench), turning a one versus one fight between Tristan “PowerOfEvil” Schrage (Syndra) and Kim “Fenix” Jae-hun (Orianna) into a three versus one as the CLG support picked up the kill for the first blood 12 minutes into the game. Despite some early misplays by Echo Fox, the game remained close. CLG took down the first three turrets, but Fox fought back with two towers and three elemental buffs. Following a good fight in the mid lane, Echo Fox secured two kills and went for Baron. Raymond “Wiggily” Griffin (Sejuani) was still up on CLG’s side however. Fox’s jungler Lee “Rush” Yoon-jae (Nocturne) used his Ultimate to take the vision away from Counter Logic Gaming but ended up missing his Smite. Wiggily jumped into the pit and stole the objective. Fox didn’t slow down without the buff and actually pushed into CLG’s territory, evening the turret count. But CLG did a better job controlling the neutral objectives and managed to secure both the Elder dragon and the second Baron buff uncontested. Counter Logic Gaming used the powerplay to take down two inhibitors, ending the game following an extended fight inside Echo Fox’s base. at Day 5 2019 LCS. The game had another late first blood, coming more than 11 minutes in with OpTic’s bottom lane duo roaming to the mid, assisting Lee “Crown” Min-ho (Lissandra) in securing the kill on Henrik “Froggen” Hansen (Karthus). OPT’s good start continued with the Rift Herald taking down the mid lane turret and making its way to the second tower, which eventually went down as well. OpTic found even more space around the map by taking down two turrets in the top lane. 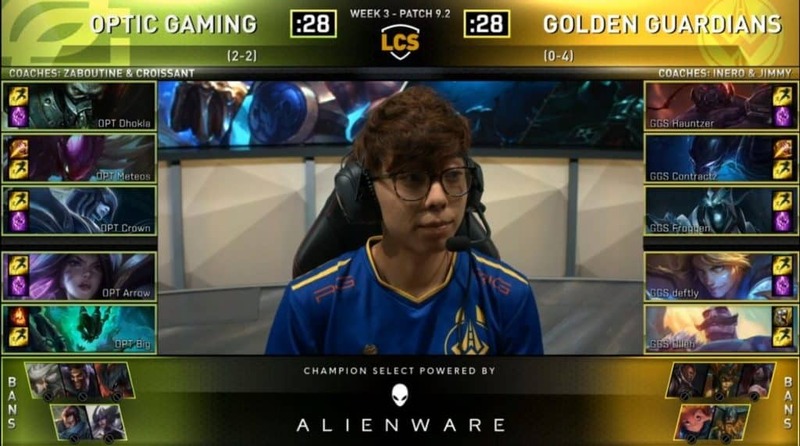 There was no other choice for the team but to accelerate things as the Golden Guardians’ composition would inevitably scale into the later stages. Crucially, GGS added two Infernal buffs, which allowed the team to stall. 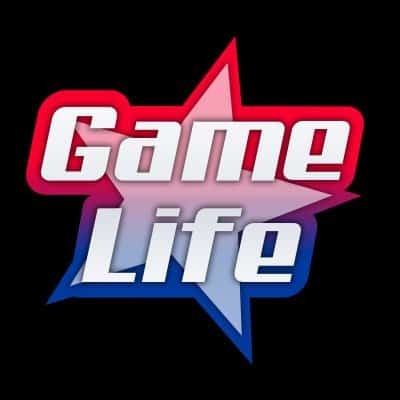 It soon became evident that OpTic had no way to fight GGS straight on. Their split push was also severely hindered by Juan “Contractz” Garcia’s (Nocturne) Ultimates. The Golden Guardians controlled the area around the Baron pit, forcing OPT into face-checking. GGS added two kills to the count, and while OpTic contested the execution with three members, the buff ultimately went the Guardians’ way. GGS forced OPT away from the objectives relying on the poke damage and forced its way inside the base, taking down the top and mid lane inhibitors. 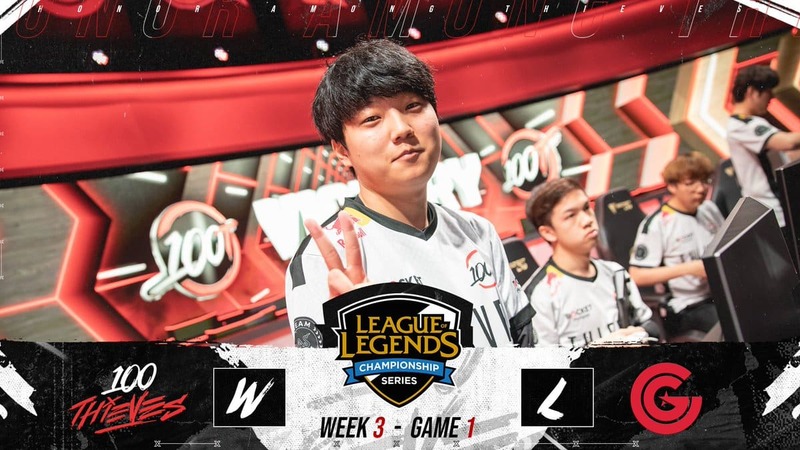 The final fight also went their way with three kills, giving the space the team needed to secure its first win of the Day 5 2019 LCS.